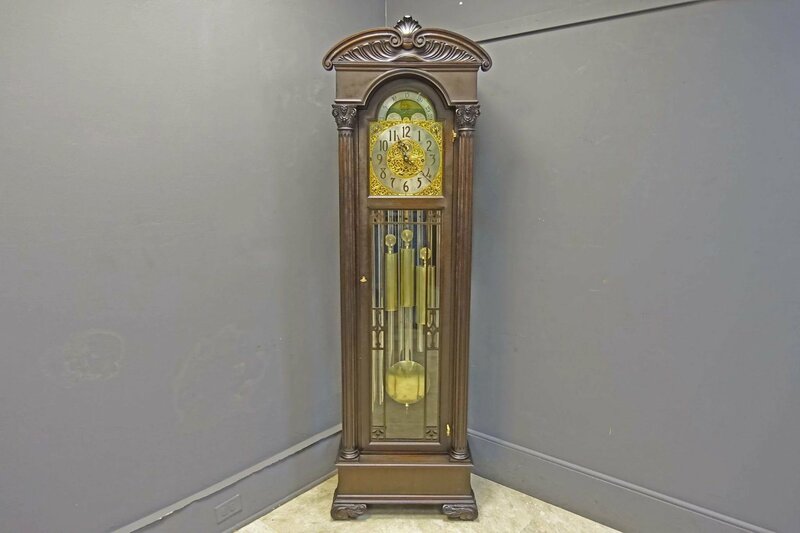 This is an extremely hard to find small size grandfather clock. 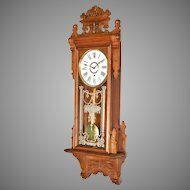 The works were made by the highly regarded Herschede Clock Company and sold through the Colonial Clock Company. 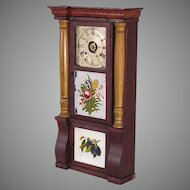 The solid mahogany case has a boldly carved crest with a shell design and supported by carved Corinthian capitals. 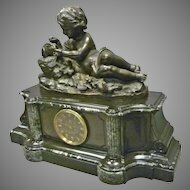 The case rests on boldly carved scrolled feet. 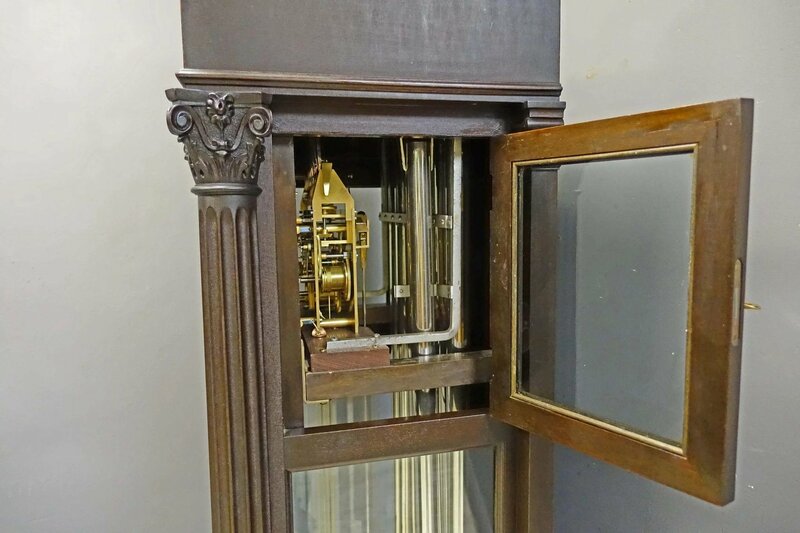 The front glass has a fretwork design. 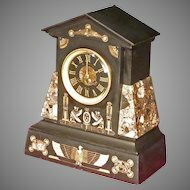 The original ornate gilded cast brass face has a silvered dial with raised brass numerals. 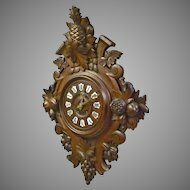 There is a small sweep second dial and hand in the center of the main dial. 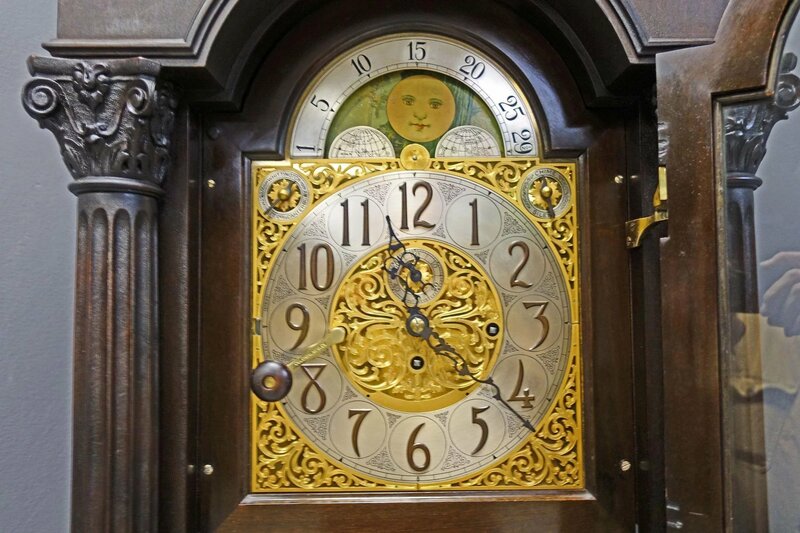 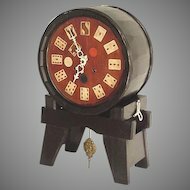 There is also a small dial on the top right of the face to turn the chimes on or off. 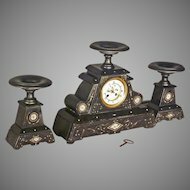 The small dial on the top left directs the tubes to play one of three different tunes: Whittington, Westminster or Canterbury. 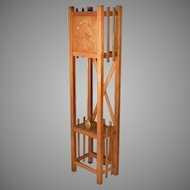 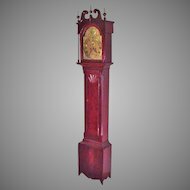 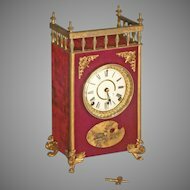 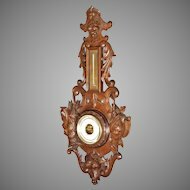 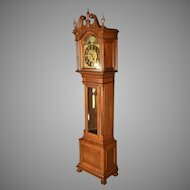 This small size grandfather clock has all the desirable features you would find in a much larger hall or grandfather clock. 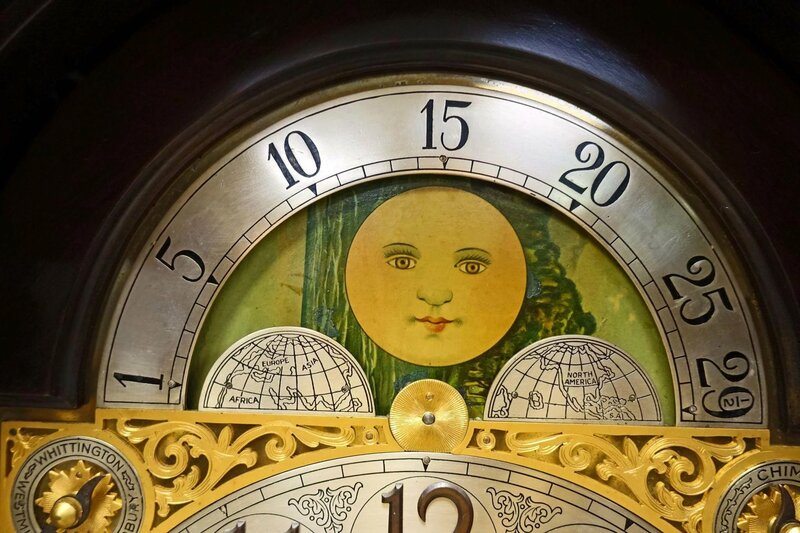 There is even a hand painted moon dial which rotates with the passing of the phases of the moon. 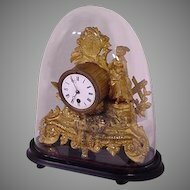 The clock works are all original and in excellent working condition. 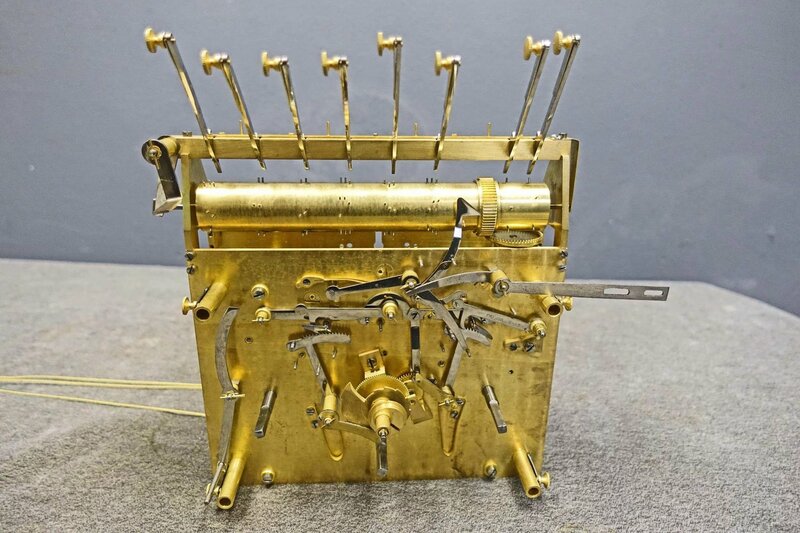 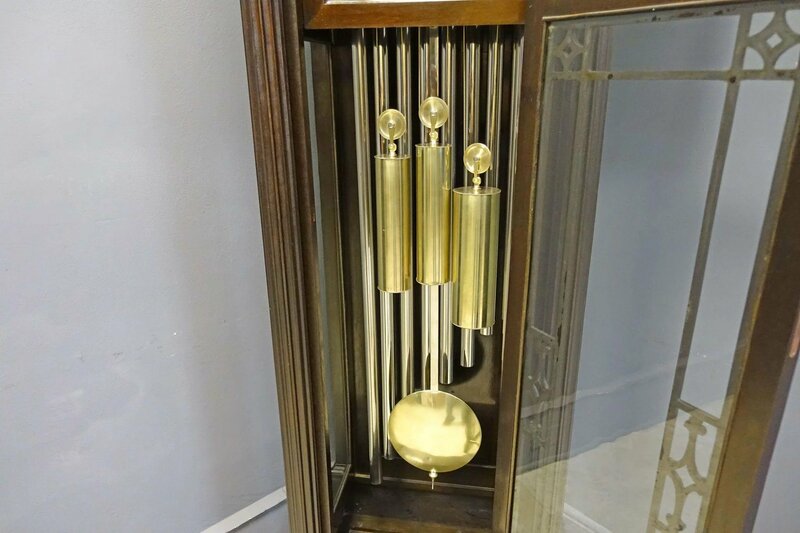 It comes with its original 9 tubes, 3 brass weights and brass pendulum. 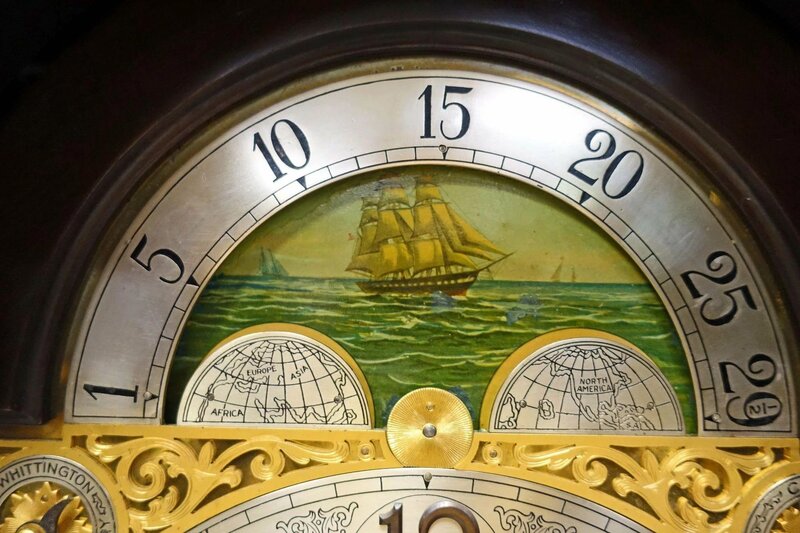 The clock strikes ever quarter hour. 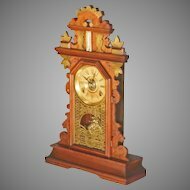 It plays the desired tune which progresses every 15 minutes. 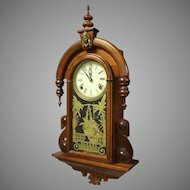 The clock has a beautiful sound. 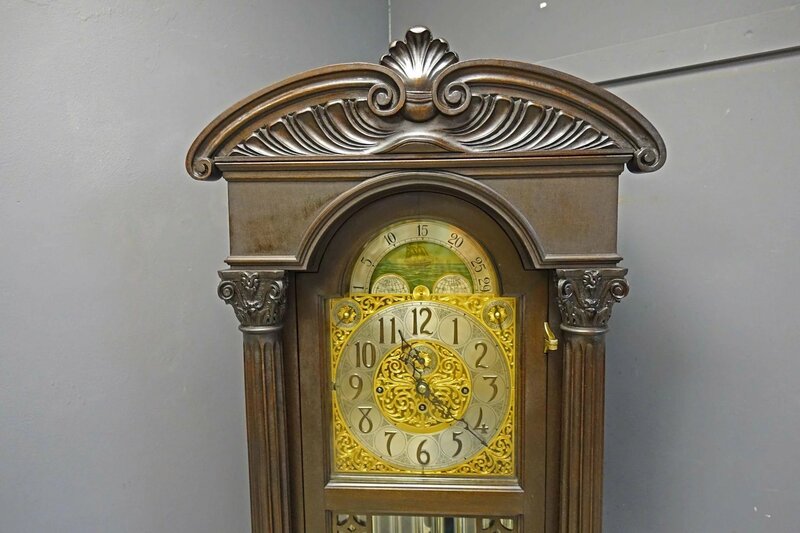 The case finish is original and in excellent condition having a deep, rich color and desirable patina. 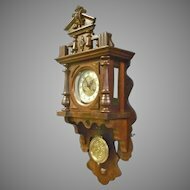 What a statement this will make in any home or office! 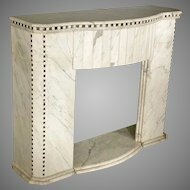 80"h X 24.5"w X 16"d, Condition: Excellent, Circa: 1919. 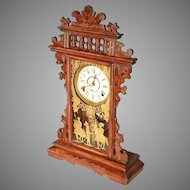 30% off Sale-from April 15th to April 30th.